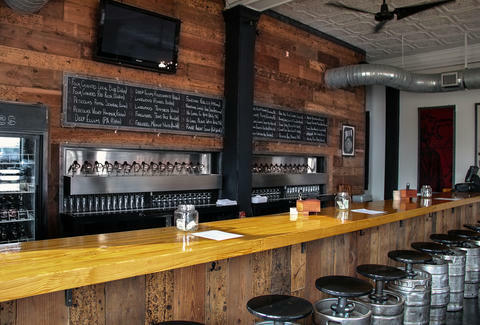 Just when you thought walking out of a bar with a beer couldn't be more pleasurable, along comes Craft and Growler, a cozy, Fair Park-area tap room opened by husband-wife attorneys that's dramatically improving the taste of take-home suds. Here's what's happening: Their two-trigger gun system (one for beer, the other for growler-life-extending CO2) has never been used commercially. Welcome to the revolution, and get ready to drink 'til your lights go out. 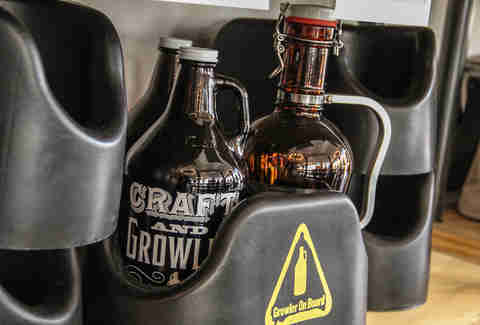 These carrying cases will help you lug multiple growlers home. They also have insulated models to keep your large beers cold. 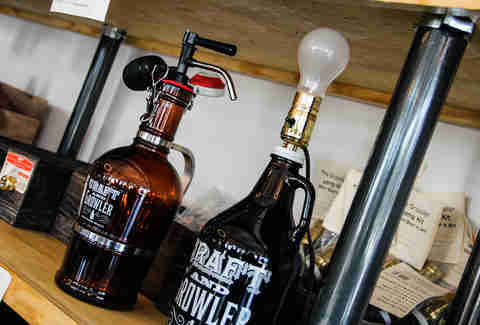 And they sell growler attachments: add a spigot to help you empty yours, then once it's empty, turn it into a lamp, so you'll have something appropriate to knock over when you're lit. 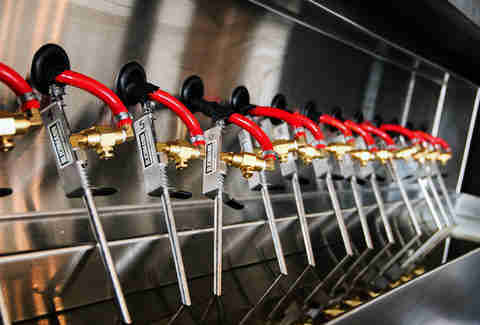 They've got 30 taps total, from Deep Ellum Rocktoberfest to Steven's Point Whole Hog Saison. The most amazing one? 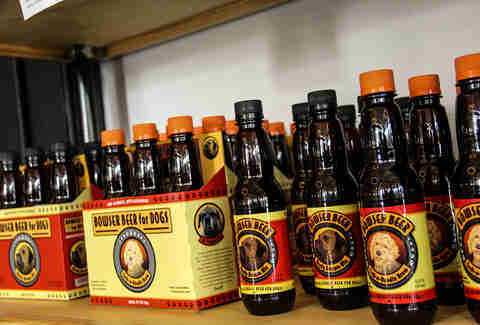 This beer for dogs, which comes in beef or chicken flavor. You can bring in your mutt, but it's BYO bowl -- don't worry, as pleasurable as it is to watch intoxicated dogs, it's not alcoholic, because that'd mean even more lawyers.